On 25 Jun last, I married my best friend, and the soul mate I never knew existed. 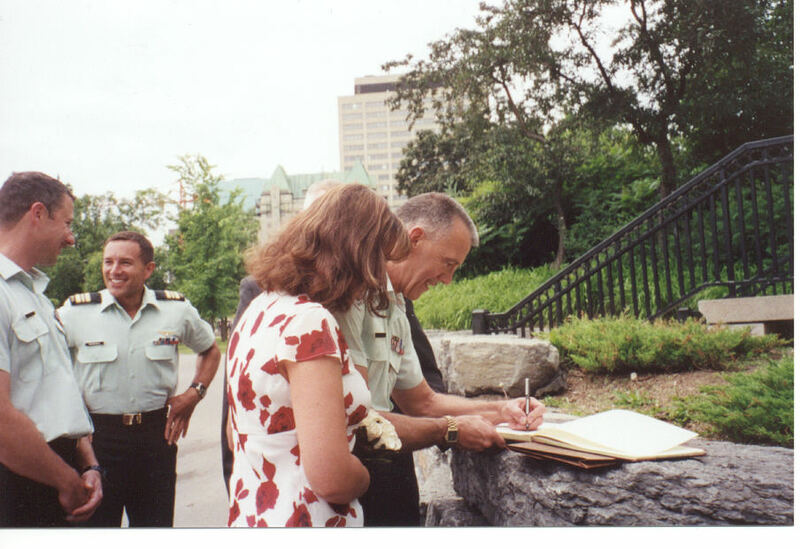 Barbara Krasij was with me at the 25th reunion parade and vin d'honneur after the parade in Sep 01. We will hold a major event in 2003, but wanted to be together immediately. 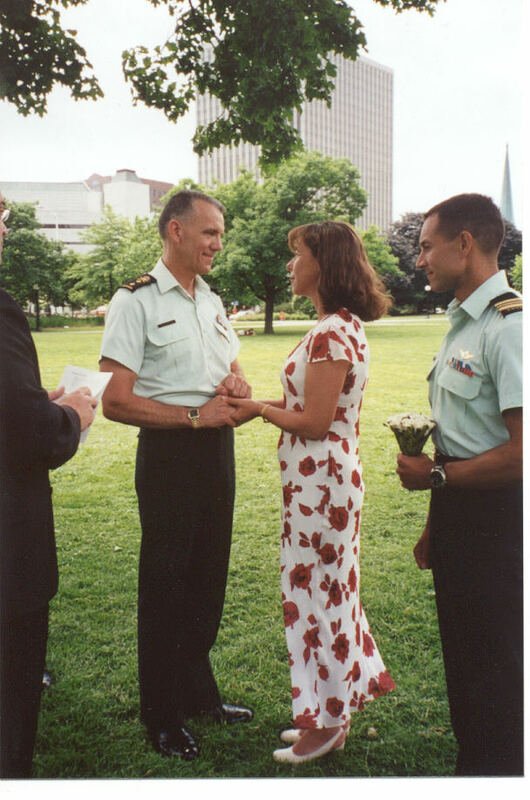 So we went to the park in front of NDHQ, took a padre and two staff officers from the J-staff, a bottle of champagne, and exchanged vows. 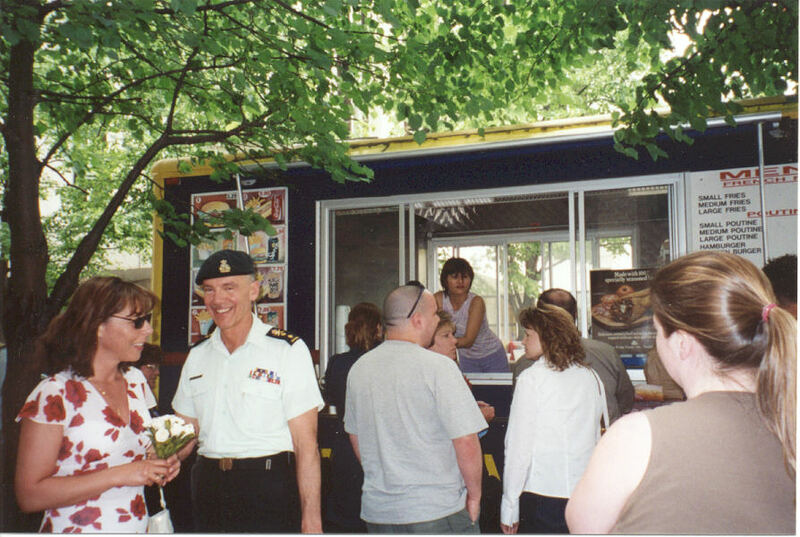 It was a beautiful ceremony, which we concluded by going to the poutine truck for the reception. I have never been happier, and I can't wait to properly introduce the entire class to the woman of my dreams and the most fantastic person I have ever met.